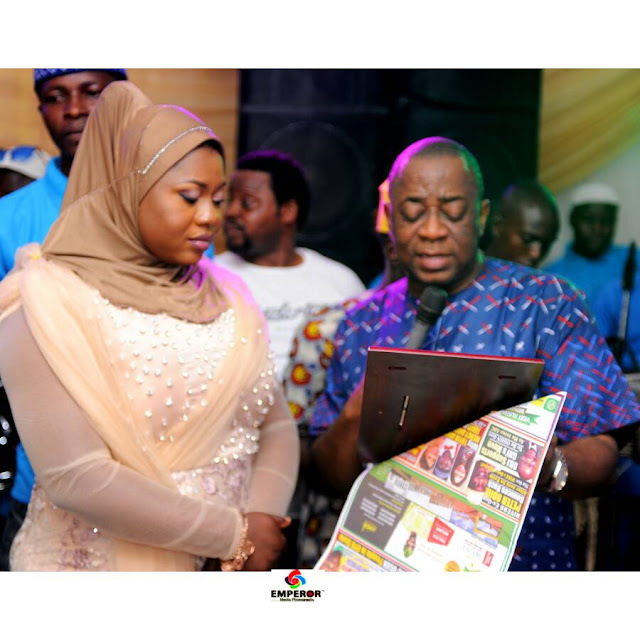 Dancehall artiste Oritsefemi and his wife Nabila Fash on Saturday tied the knots in in a colourful ceremony in Lagos witnessed by family members and friends as well as celebrities. The ‘Double Wahala’ crooner tied a purple wrapper and white lace shirt in accordance to traditional Urhobo custom and later changed to a gold tuxedo, an outfit also worn by his best man, street pop artiste, Small Doctor. His wife, a PR Executive with Multichoice, looked beautiful in both the traditional outfit as well as the wedding gown. ‘Real for real,’ Oritsefemi wrote on his Instagram account after posting several of the wedding pictures. 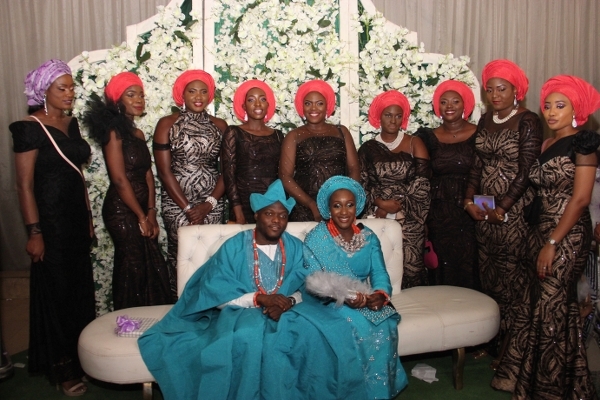 The colourful ceremony took place inside a beautifully designed canopy at The Ark, Lekki, Lagos is happening eight months after their court marriage. And planning for the wedding seemed as a carnival when their pre-wedding photos were displayed on an electronic billboard at Lekki/Ikoyi roundabout, Lagos.